Today I am delighted to inform you of the recent publication of a very useful book by the well-known Spanish lawyer-linguists Ruth Gámez González and Fernando Cuñado de Castro. 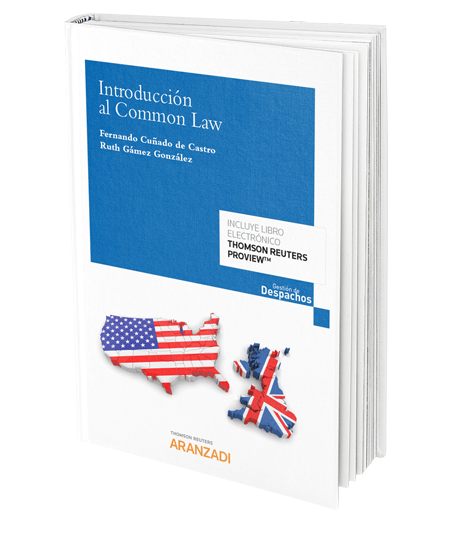 The title is “Introducción al Common Law“, published by Thomson Reuters, and it is available as an e-book or on paper, or both – what more could we ask! Ruth and Fernando have been working together since 2008 and curate an incredibly helpful and informed blog (http://traduccionjuridica.es/blog). Ruth is a law graduate and a translation and interpreting graduate, and is also a sworn translator for the English language appointed by the Spanish Ministry of Foreign Affairs. Fernando is a law graduate and holds an MBA. They both teach legal translation at Universidad de Comillas in Madrid, as well as running their busy translation practice working for law firms all over the world. You can find the various formats of the book at the publisher’s website here. You might also like to read this post about the passive voice in legal language, that Ruth and Fernando wrote in 2014. Disclosure: I have no commercial relationship of any kind with Thomson Reuters or the authors, and provide the above details purely for information purposes.